For some of the best traditional American food in Ocean Isle Beach, head over to Pelican’s Perch Bar and Grill. Formerly 2nd Street Bar and Grill, Pelican’s Perch has been serving up food, fun, and live entertainment in Ocean Isle Beach since 2011 and is still going strong. A casual, festive atmosphere and friendly staff greet you upon entering; you can feast on their ample menu offerings and enjoy cocktails either inside, or out on their open-air patios. Lauded as the best sports bar in Ocean Isle, Pelican’s Perch is a terrific place to watch the game, be it college or pro, and after a great dinner, stick around for live entertainment and dancing with some of the best bands in the area. When the bands aren’t playing, jump up onstage and show off your pipes with karaoke, or bust a move on the dance floor with hot DJ music. After 10:00 pm, "the Perch" is 21 and older only. 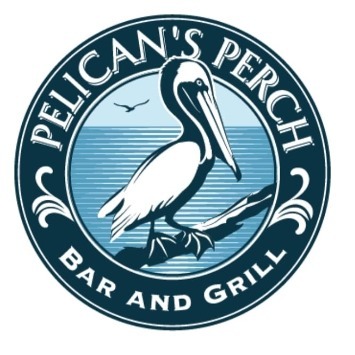 Pelican’s Perch has just about any kind of American food you could want, including build-you-own burgers, shrimp boil, BLTs, club sandwiches, crab cakes, hushpuppies, and fresh caught fish, but they have a lot more than that! Their extensive menu also features delicious international fare such as Greek chicken pitas, shrimp and crab nachos, and chicken quesadillas, to name a few. You can't go ong feeding your family at this Ocean Isle dining hotspot. If it’s a glorious beach day and you want food to go, no problem. Just call in your order and they’ll have it ready for you. Pelican’s Perch Bar and Grill is located a block away from the beach on East Second Street. As soon as you turn down East Second Street from Causeway Drive, you’ll see Pelican’s Perch next to River Country Mini Golf on the right side. Head to Pelican’s Perch Bar and Grill in Ocean Isle Beach for a great Ocean Isle dining experience!